That’s because a fresh-picked, straight-off-the-tree peach is a succulent explosion of tangy sweetness that simply cannot be experienced when plucked from grocery store shelves. Like other kinds of vegetables and fruits which have been bred to favor longevity and durability over taste—tomatoes comes to mind—form does not guarantee flavor, and flavor is the ultimate goal for producers like Brown. 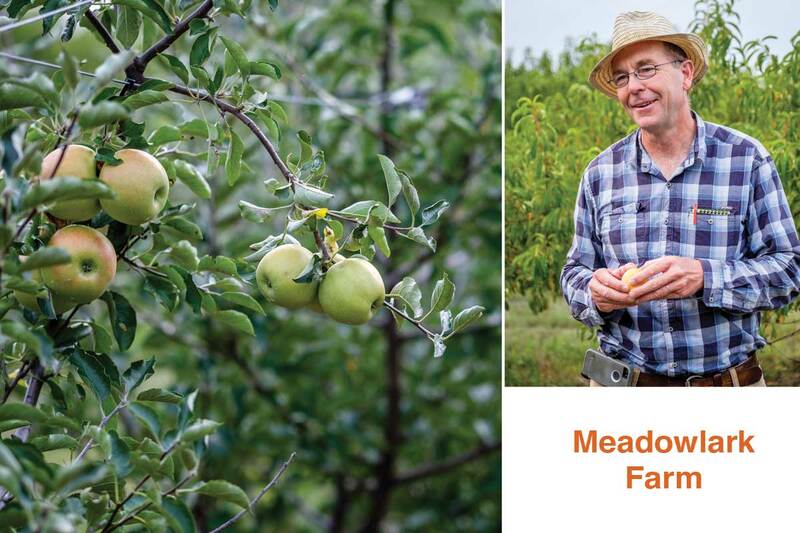 Meadowlark Farm, which Brown co-owns with his wife, Gina, sprawls across 80 acres near Wichita, with about 20 acres devoted to peaches and 15 acres to apples. The you-pick operation was one of three Wichita-area farms showcased during the Produce Farm Twilight Tour, held on Monday, August 7. 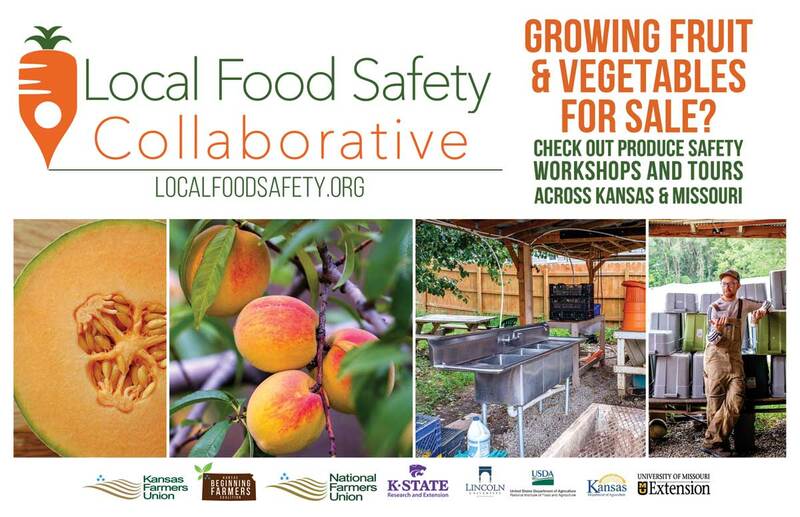 Sponsored by K-State Research and Extension, Kansas Beginning Farmers Coalition, Kansas Farmers Union and the Kansas Department of Agriculture, the tour also included discussions on the Food Safety Modernization Act and how it will apply toward small-scale producers. Meadowlark Farm, a you-pick operation near Wichita, devotes about 20 acres to peaches. The farms were chosen for the varied nature of their business operations and marketing, said Rebecca McMahon, a horticulture agent with Sedgwick County Extension Service. While the Browns operate an expansive agritourism business where customers come to the farm to pick their own peaches and apples, Donna McClish, owner of Common Ground Producers and Growers, takes the opposite approach by delivering fresh organic fruits and vegetables to her clients, most of them senior citizens. 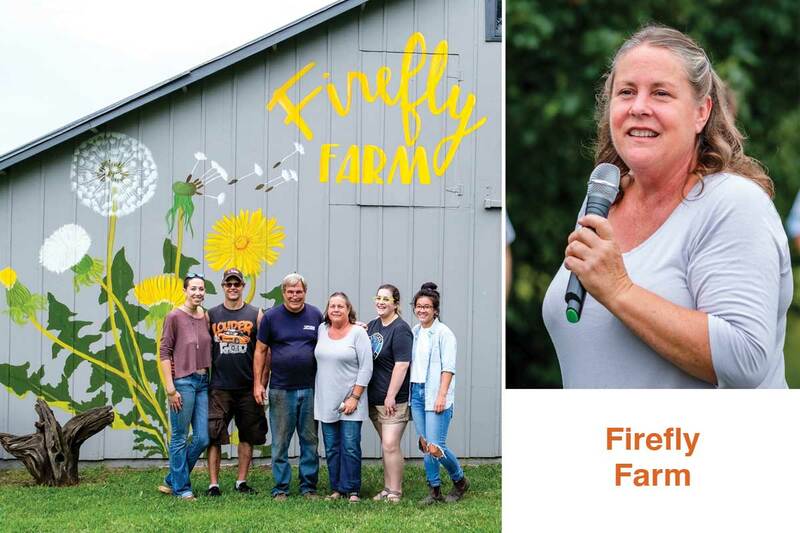 Leah Dannar-Garcia, owner of Firefly Farm, favors a hybrid approach by selling, and delivering, the bulk of her produce to local restaurants while opening the farm for monthly farmers markets with other produce vendors. The latter, she said, is more about building community than about making money. “I’m trying to connect growers who have a similar world view with customers who want locally-grown organic foods,” Dannar-Garcia said. In the three years Firefly Farm has been in operation, its customer base has grown from three restaurants to 17. Demand has steadily increased. The heirloom tomato crop—the farm’s specialty—enlarged fivefold last year, and this year the number of tomato varieties doubled. 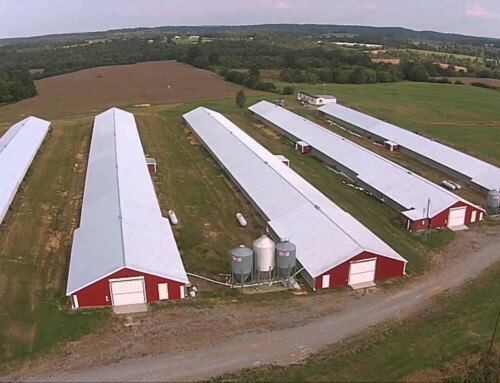 In addition, the farm has greatly diversified its spring, summer and fall crops. Leah Dannar-Garcia of Firefly Farm. The farm sells, and delivers, the bulk of its produce to local restaurants. Future plans include adding a processing building that will include two commercial coolers and a cool-storage space, as well as a commercial kitchen and rentable venue space, Dannar-Garcia said. As they expand, everything is geared toward compliance with the Food Safety Modernization Act Produce Safety Rule, or FSMA. 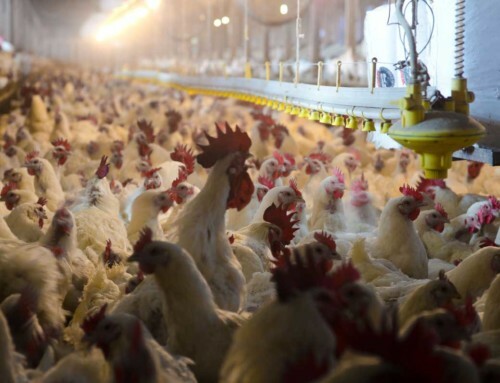 The legislation, whose final rules were published in 2015, is the first mandatory federal standard for growing, harvesting, packing and holding fresh produce. Though its regulations are not directly applicable to the smaller scale of many Kansas producers, both Dannar-Garcia and Brown feel that it’s just a matter of time. Firefly Farm sells, and delivers, the bulk of its produce to local restaurants. Prior to that, Brown solicited other Kansas growers for advice. While much of it involved the propagation of peaches and apples, others detailed logistical improvements that would not only make the operation more consumer-friendly, but safer as well. Tom Brown of Meadowlark Farm, a you-pick operation near Wichita, devotes about 20 acres to peaches. Family-friendly amenities include playground equipment, covered picnic tables, well-marked paths leading to the most favorable picking locations and a general store. Customers can walk to picking locations or be ferried in a trailer pulled by a tractor. Helena Chiebao is a Postdoctoral Research Associate at the KSU Urban Food Production and Postharvest Handling Laboratory. During a meal break, Helena Chiebao, Postdoctoral Research Associate working with Dr. Eleni Pliakoni at the KSU Urban Food Production and Postharvest Handling laboratory, spoke about the basics of post-harvest handling for small-acreage fruit and vegetable growers. Rebecca McMahon, horticultural agent with KSU Research and Extension in Sedgwick County, and Barbara Patterson, Government Relations Director for the National Farmers Union, spoke about FSMA and upcoming training sessions to help meet compliance. 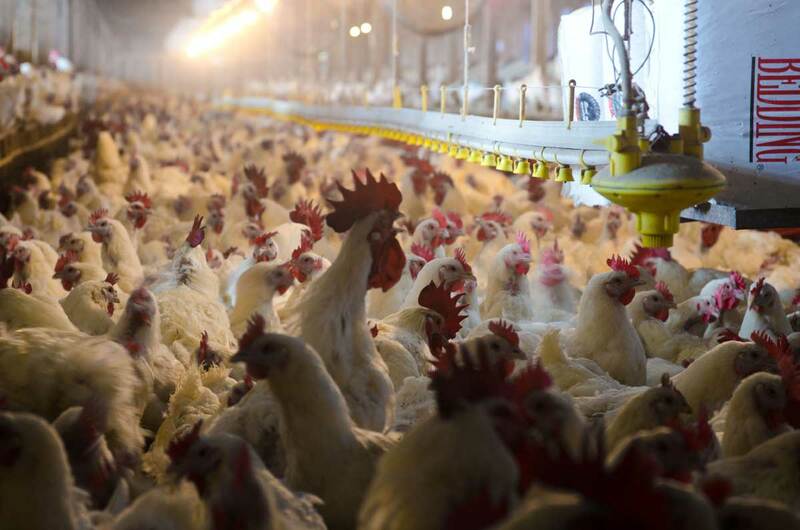 Contamination can derive from multiple sources, from sick people, from soil through animal waste or water contamination, even from tools and building equipment that can harbor food-borne pathogens. “You don’t want to get paranoid about it, but you should be cognizant of it,” she said. Barbara Patterson presents on behalf of National Farmers Union and the Local Food Safety Collaborative. 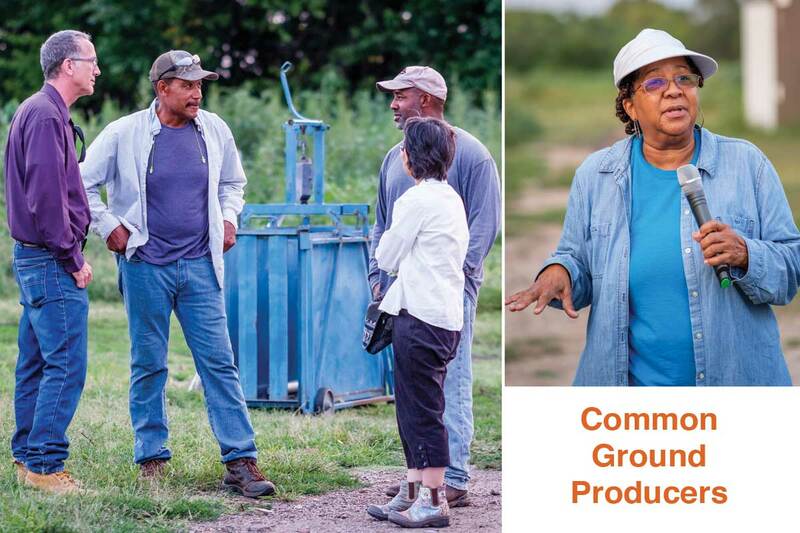 The final stop for the evening was Common Ground Producers and Growers. Co-owner Donna McClish greeted the participants with a notice: “This is an organic farm, so there are weeds,” she said. The operation is unique in that it delivers fresh organic produce to senior centers, senior high-rises and mixed multiple high rises with seniors and the disabled. The idea flourished after a coordinator for a senior facility told her that while a supplemental food assistance program provided vouchers to be used at farmers markets, seniors had neither transportation nor local farmers markets, leaving them in a virtual Catch 22. And with fewer and fewer grocery stores in an expanding urban area, many seniors were trapped in a food desert without access to healthy food. Common Ground Producers and Growers delivers fresh organic produce to senior centers, senior high-rises and mixed multiple high rises. By the end of 2014, the year the farm began delivering, they served 11 senior centers and residences. Since then, they’ve grown to 29, and the list of centers asking to be included keeps growing as well. The farm has about five acres under cultivation, with pumpkin, acorn and butternut squash, zucchini, collard greens, spinach and purple hull peas—a Southern specialty similar to black-eyed peas. Donna McClish of Common Ground Producers, which delivers fresh organic produce to 29 senior centers. Meanwhile, requests to add more senior facilities keep coming in. Common Ground is looking into adding staff and more delivery vans to keep up with demand. 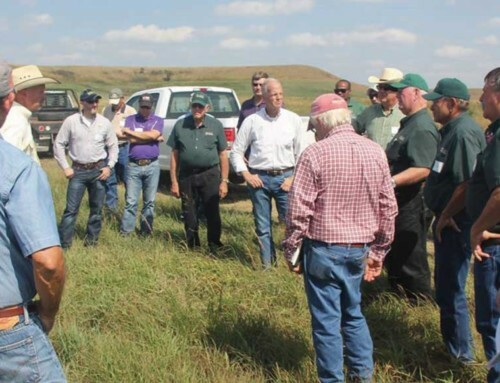 Sponsors for the tour included K-State Research and Extension, Kansas Beginning Farmers Coalition, Kansas Farmers Union and the Kansas Department of Agriculture. Kansas Farmers Union is co-sponsoring additional educational events around the state for specialty crop growers. These events are open to the public and growers can register to attend. Look for Kansas Farmers Union at the following events to learn about the Food Safety Modernization Act. The KFU FSMA Booth will be at Mother Earth News Fair in Topeka at the Expo Center, October 21-22, 2017; Kansas Rural Center Farm and Food Conference in Manhattan Four Points Sheraton, November 17-18, 2017; Kansas Farmers Union Annual Convention, Emporia Avaste’ Hotel Conference Center, December 1-2, 2017. Training meetings will be held in the following locations: Intro to FSMA Training – Fort Scott on November 9, 2017; Produce Safety Workshop in Wichita November 14 and Colby November 15, 2017. Growers wishing to attend the one-day FSMA Training meeting for certification can attend the Workshop that will be offered at the Great Plains Growers Conference in St. Joseph, Missouri on January 11, 2018. The conference runs January 11-13, 2018. 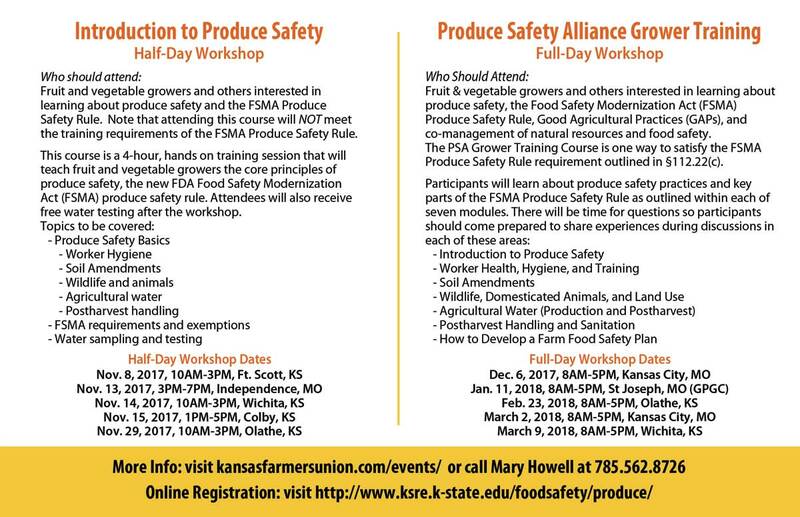 Please stop by one of the events to visit and learn about product safety or contact Mary Howell for more information, kfu.mary@gmail.com or call 785-562-8726. Kansas Farmers Union is the state’s oldest active general farm organization working to protect and enhance the economic interests and quality of life for family farmers and ranchers and rural communities. 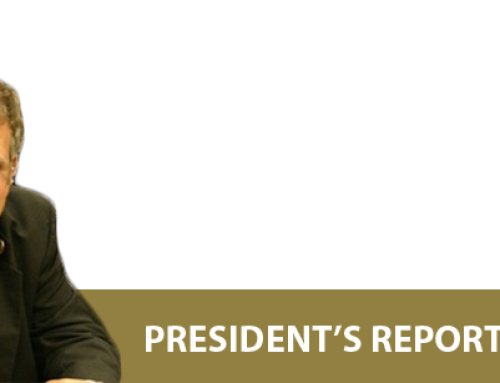 For more information, visit www.kansasfarmersunion.com or call 620-241-6630. 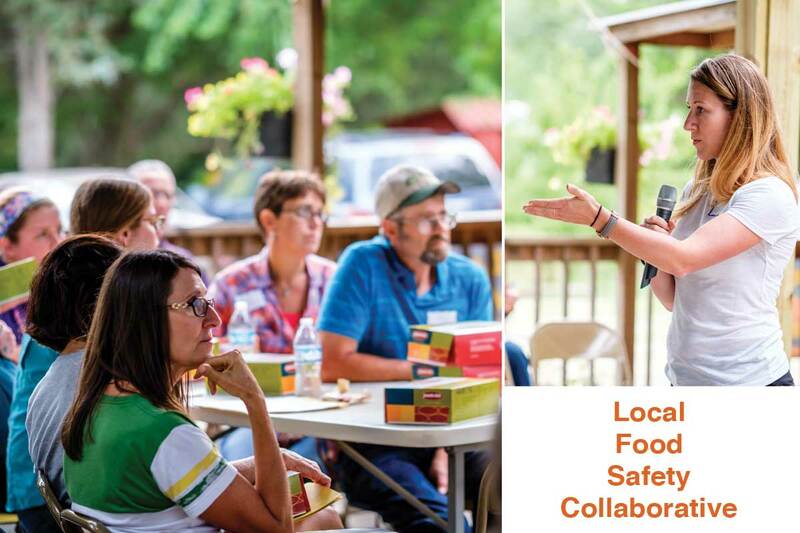 If you would like more information about the Producer Farm Twilight Tour or KFU’s participation in the Local Food Safety Collaborative, please call Mary Howell at 785-562-8726 or email Mary at kfu.mary@gmail.com.